Eleven months ago Mike Frawley was just like you and me. He was a biker out for a ride; sharing the road, obeying the traffic laws, enjoying freedom on two wheels. Little did he know his life was about to change forever. As Mike was cruising along on his motorcycle, someone else was about to join him on the road; but this person wouldn’t be sharing the road or obeying the traffic laws. As Mike Frawley was cruising down the road, Debra Wylie was stumbling out of a bar and fumbling for her keys. She managed to get the keys in the ignition and start her Jeep even though her blood alcohol was more than 1 1/2 times the legal limit at 6:00 in the afternoon. Despite her intoxication, Debra Wylie managed to get her Jeep onto the road. Wylie and Mike Frawley were headed in opposite direction – in life and on the road. Mike was a young father with everything to live for and a family who relied on him. Debra Wylie was a 58 year old woman drunk at 6:00 in the afternoon. Mike was headed north on College Ave, in Elmira Heights, NY. Ms. Wylie was headed south. As each approached the intersection with 13th Street from opposite directions, they each had a green light. Mike intended to continue straight through the intersection, while Ms. Wylie intended to turn left across Mike’s path. Ms. Wylie was required to yield to Mike, to turn only when it was safe to do so. Due to her drunken state she never even saw Mike coming. She turned in front of Mike when he was so close to the intersection that there was nothing he could do to avoid striking the Wylie vehicle. In the blink of an eye, Debra Wylie’s selfish intoxication changed Mike’s life forever. Mike was thrown up and over the handlebars of his motorcycle and head first into the side of Ms. Wylie’s Jeep. While Debra Wylie was stumbling and slurring as the police officers interviewed her, Mike was rushed to the hospital in the back of an ambulance with sirens wailing. While Debra Wylie was having handcuffs placed on her wrists, Mike was having a hole drilled in his skull in an attempt to relieve the pressure from a subdural hematoma. While Debra Wylie was taken to the Chemung County Jail, Mike lay in a medically induced coma. 11 months later, Mike and Debra Wylie are still headed in opposite directions. Mike is slowly trying to put his life back together between ongoing doctors appointments and physical therapy. He isn’t anywhere close to 100% yet, and likely never will be, but he continues to improve. Debra Wylie is starting a new life as well, courtesy of the NYS Department of Corrections. She appeared in front of the Chemung County Court today, and was sentenced to 1-3 years in state prison. If only Mike’s sentence would end so soon. Mike is a client of mine. He’s the nicest guy you would ever want to meet, and has a beautiful little daughter. Its a shame that he can’t remember her early years because of the injuries he sustained. Hopefully his body will heal to the point where he can go back to work soon, as the forced inactivity is driving him crazy. WETM – did a story on the sentencing today – click the link or read the full story below. Thanks for reading, and please don’t drink and drive! 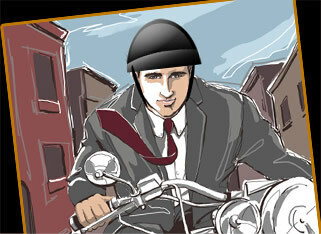 My book, “Would You Ride Your Motorcycle Naked?” is available FREE to New York and Pennsylvania bikers. Follow the link to order your copy today! Elmira, N.Y. – Last May, 58 year old Debra Wylie’s jeep slammed into Michael Frawley’s motorcycle at the intersection of College Avenue and 13th Street. Her blood alcohol content was 0.13. In October, she plead guilty to vehicular assault and two counts of DWI. On Monday, Wylie was sentenced in Chemung County Court to 1 to 3 years in state prison. During the crash, 30-year-old Frawley crashed into Wylie’s Jeep head on and was thrown from his motorcycle. As a result, he suffers brain damage and cannot perform normal everyday functions. “I have no remembrance of my daughter growing up. I don’t remember feeding her, changing her, none of it. I don’t have memory of ever getting married” said Michael Frawley, the victim. Frawley’s mother said even though her son could walk into the courtroom, his life will never be the same. “(He’s a) totally different person, then he used to be. He used to be funny, a comedian” said Robin Butters, Frawley’s mother. “I don’t know, apart of you dies when something like that happens. You never get it back”. Wylie will pay more than $95 thousand dollars in restitution fees. Her lawyer had no comment after Monday’s sentencing. This entry was posted in Motorcycle Accidents, Motorcycle Injury Cases and tagged accident attorney, accident lawyer, Adam Gee, Adam M. Gee, attorney, Elmira New York, injury, Jeep, Law, Limited liability partnership, Motorcycle, motorcycle accident, Motorcycling, New York, new york motorcycle, New York motorcycle attorney, new york motorcycle attorney adam gee, new york motorcycle crash, new york state motorcycle laws, NY accident attorney, NY accident lawyer, NY and PA motorcycle lawyer, NY biker lawyer, NY motorcycle accident attorney, NY motorcycle accident lawyer, NY motorcycle attorney, PA motorcycle accident attorney, PA motorcycle accident lawyer, PA motorcycle lawyer, Pennsylvania, Pennsylvania motorcycle accident attorney, Recreation, Traffic collision, WETM-TV. Bookmark the permalink. 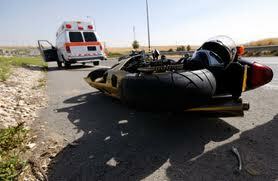 ← NY Motorcycle Lawyer: Be Careful On Your Spring Rides! One Response to Drunk Driver Who Severely Injured Elmira Motorcyclist Gets 1-3 Years In State Prison. I am the little sister to Michael Frawley! I dropped by to say how greatful I am to have another chance to say Thanks to Adam Gee for all his help on my brother’s case! He did a great job and did it quickly! It has now been a bit over 1 year since this accident happened,still Michael is not back to normal.Some days he forget things more than other days.Some memories he still don’t recall at all! Sometimes pictures jog those memories and other days those same memories are not a memory any more. It is hard to know he does not remember his daughter at birth! Makes me sad! I could never imagine forgetting important memories of any of my children!Although Michael is living a day to day struggle,he still bounced back to being the “BEST FATHER” to his now 5 year old daughter! I want to express how far he has pushed himself to get back to his old self!